George’s primary focus at the firm is on the execution of the fixed income strategies and bond portfolios. His other duties include trading, portfolio administration, investment analysis, and client service. 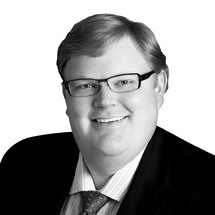 George joined Smith Salley in July of 2013 with 5 years of experience in trust administration, risk management and planning. Prior to joining SSA, he was Trust Administrative Officer II with U.S. Trust, Bank of America Private Wealth Management in Boston. George received a Bachelor of Business Administration from Campbell University, majoring in Trust and Investment Management and minoring in Financial Planning. George was born and raised in Winston-Salem, NC graduating from Bishop McGuinness Catholic High School along with his future wife, Natalee, in 2004. As noted earlier, George received his Bachelor of Business Administration from the Lundy-Fetterman School of Business at Campbell University which offers the country’s only concentrated major in Trust & Wealth Management. George and Natalee are once again calling Winston-Salem home as they are raising their son Eli in their hometown. George is a member of Forsyth Country Club and is an avid golfer. He and his family attend St. Leo the Great Catholic Church. To contact George you can email him at george@smith-salley.com.